This deluxe kit includes a mini replica of the Psychokinetic Energy (P.K.E.) Meter from the 1984 classic film, Ghostbusters! 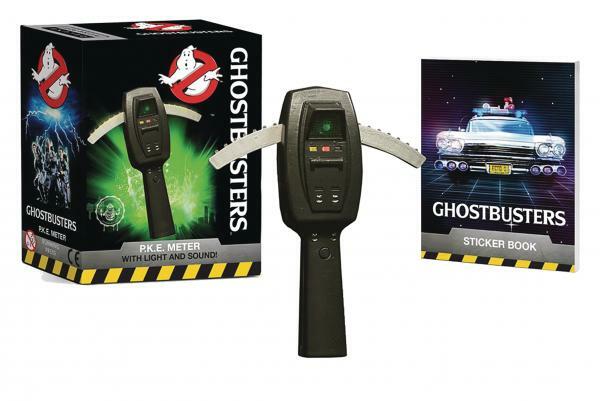 Complete with light and sound features, this cool gadget will help aspiring Ghostbusters to locate and track anything strange in their neighborhood, be it a ghost, paranormal substances, or a cursed artifact. Kit also includes a 16-page mini book of full-color stickers. Batman's arch nemesis and supervillain extraordinaire, the Joker, is here! 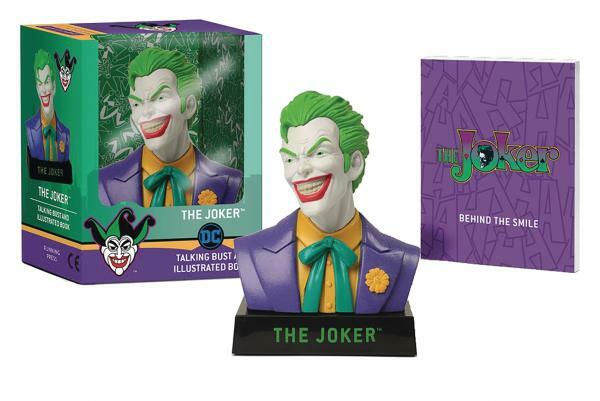 The kit includes a 3" Joker bust mounted on a base, with 10 diabolical sound bites; The Joker: Behind the Smile, a 48-page book of Joker history, featuring full-color illustrations throughout. Pickle Rick is back! 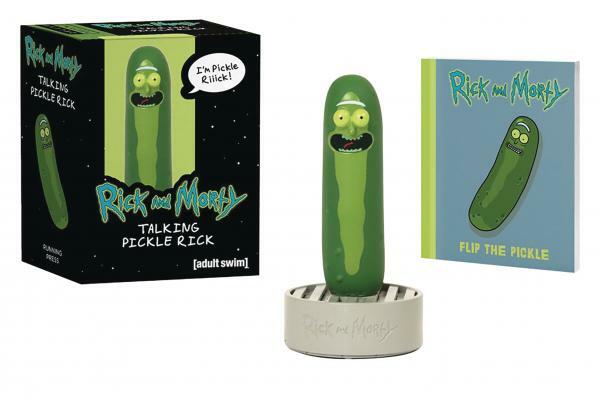 Bring your favorite Rick and Morty character home with this talking collectible figure of Rick Sanchez's pickle alter ego. It includes: 3-inch squeezable Pickle Rick mounted on a base. Says "I turned myself into a pickle, Morty!" and "I'm Pickle Riiick!" 48-page book on Pickle Rick, featuring full-color illustrations from Rick and Morty.